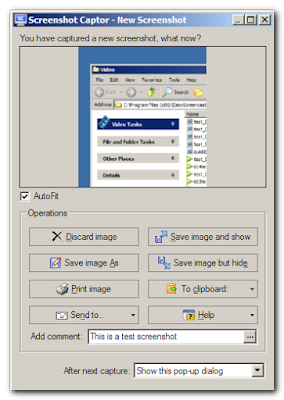 Screenshot Captor Free Download Latest Version For Windows OS (XP-7-8 and 10). Get the offline installer standalone setup file of Screenshot Captor for PC with a single, direct and secure link. The downloaded setup file is compatible with both Windows 32 and 64-bit versions. Screenshot Captor is the best tool for grabbing a lot of screenshots with little effort, it's an excellent choice if you need a program to take screenshots for tutorials and documentations. The app also has an integration with other photo editing and Photoshop 7.0 and watermarks. 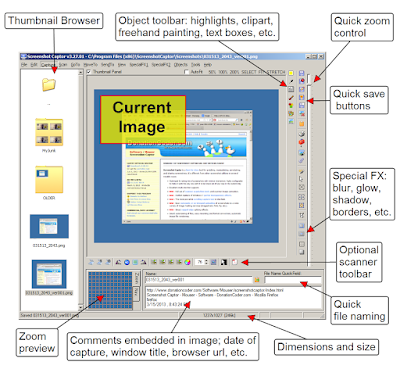 Screenshot Captor is a program that allows you to take screenshots of the whole screen or part of it, either a section of a web page, the interface of a program, or any other source. It also serves to create tutorials or manuals for program use, since with the captures you can go detailing the steps to follow and you can add text to achieve better documentation. This program has several advantages and extra functionalities with respect to other similar programs, or with respect to the simple procedure of pressing the Print Screen key. It has several capture modes: active window (even if minimized), by an area of the screen, the entire desktop, and so on. Each mode has a key associated to be able to take the capture easily. If the capture extends the limits of the screen, it takes it and reduces it. It has shortcuts to upload the captured photos to image hosting sites. The possibilities given by this software do not end with the capture, but also offers the possibility of editing the captured images. The editing functions are basic but useful, for example: resizing, rotation, trimming (with the option to apply cutting effects on the edges), adding watermarks, adding frames, and so on. You have the option to select another photo editor by default so that it is executed automatically when you want to edit a capture. It has a function that allows you to capture photos from the webcam connected to the PC and is even capable of capturing video from the webcam, requiring the ESR addon to achieve that task. A new functionality allows capturing semitransparent windows with the "glass" effect of Windows 7 and 8. Another new tool allows to correct and edit the scanned images, supporting a wide list of scanning devices. Screenshot Captor is an extraordinary program to capture screenshots, with this tool you can make several consecutive captures, assign quick keys for certain tasks, capture full windows, either the total area of the desktop, or piece that you select, etc. Screenshot Captor is a complete tool that, in addition to its wide functionality in the field of captures, also offers a basic package of graphics utilities to edit and improve the appearance of your captures as soon as you capture them, thus always ensuring the highest quality of your images. Screenshot Captor is one of the best desktop image capture software. It features high-speed photo capture with the ability to add geometric shapes such as arrows, boxes and circles to images and add comments to them. The program helps you capture active windows on your desktop. You can take snapshots of webcams or take pictures that you like while viewing videos. ScreenShot Capture includes a complete set of scanner acquisition tools and scanner image correction. The program automatically optimizes images because it has many special effects that enable it to adjust the edges and intelligently remove texts from images. It's easy to rename and convert a picture file captured by the program, you can easily add attractive captions to photos and prints, you can take a full picture of your desktop or select a specific desktop item to shoot. Screenshot Captor provides a lot of tools to modify the digital images that are captured for the desktop. The program includes a toolbar containing all the commands that you can use to modify, save and rename images. The program supports the drag and drop feature, you can adjust the colors, brightness and shadow of the pictures after they are taken. It takes a lot of screenshots with minimal intervention. Automatic uploading of images to hosting services. Very easy to add arrows, text boxes and circles. Easy record of videos with ESR addon. A powerful special effects like smart text removal and automatic window enhancement. Software Name: Screenshot Captor Free Download. Click on the button below in order to download Screenshot Captor for PC. It's a complete offline installer and standalone setup for Screenshot Captor. This file would be compatible with both 32 and 64-bit windows.